Yeah that whole business and investment vehicle angle is an interesting one... I suppose whenever we get involved with projects like these we are looking for good investments ultimately too. how to invest in dstra? how to buy? what is the price now? because community is the key to success, the stronger and bigger our community the success of DSTRA is increasing too, so let´s keep it active. Good article, I think any investment needs patience, just as DSTRA started because of previous problems. finally now have got the idea team that is easy solid and trustworthy. this allows investors to invest in this project, let alone the advantages now with Multisign. At the moment the donation price is 1000 sats per DSTRA I think, for every 120.000 DSTRA taken by donators the donation price increased as well, don't be too late if you want to donate. Well DSTRA obviously follows the Deeponion model which was a success, it also encourages a quicker level of distribution, crates larger levels of volume on exchanges too, once dstra will be listed to show some people and other exchanges that it is being traded. At the start of any listing of any coin or product that is listed, the market attempts to find intrinsic value, so of course that is the riskiest attempt to make money in the short term, often coin supply and circulation is a major factor at this point, causing monumental sell offs as free money enters the market, in some people's minds, it takes time for the market to reach a less volatile stage. Well DSTRA didn't "follow' DeepOnion. Because most of us are got scammed by f0me. This method (DAM) are created on the new DSTRA team and I guess DO make signature bounty at their first week which DSTRA didn't do. Some don't compare it the same as DO. Again, this is DSTRA, not DO. Please stop comparing DSTRA to DO (sounds like hidden DO advertising to me honestly, stop trying to make DSTRA sounded like DO's child project) — and success cannot be replicated, what makes one project successful doesn't mean another can also be successful just by following the former's model. Everything is in constant flux of change, what makes one successful in the past can also be the root of failure today. More importantly, DSTRA and DO's condition is very different. If DSTRA wanted a bigger chance of success, it must pave its own way and strategize according to it's unique condition. My apologies, it wasn't my intention to offend. Thanks for the well-written article! Yes, Dstra has a great community and hardworking & responsible team. I think that’s why we are here! dont forget to Donate something for further development and exchange listing! It may be a perfect decision to invest in dstra before the full potential shows. That's what investment is all about. Once there is low risk compared to the expectation of the high return. Then it's a good buy. well mate its hightime you do that! it'll help the further development fund and also give you a change to be a a history! it'll help the further development fund and also give you a change to be a history! Of course! I want this to be as standard as the previous project I supported. Investing in it is guaranteed because I believe crypto in general is a change of history. your support is really important! Do not think twice investing in DSTRA. This is a very good community with a very active and hardworking Dev team! Your investment is worthy here. To be honest, I am in for the community. Very positive atmosphere here. Unlike some other places that are not so friendly. yeahh i know what you meant! Rude admins with bossing around everywhere! I'm pretty much sure.  DSTRA is the best airdrop coin. I agree. DSTRA has friendly community compared with other. I love to be here. Good article, we need more exposure in the cryptocommunity. Hope this community will thrive!